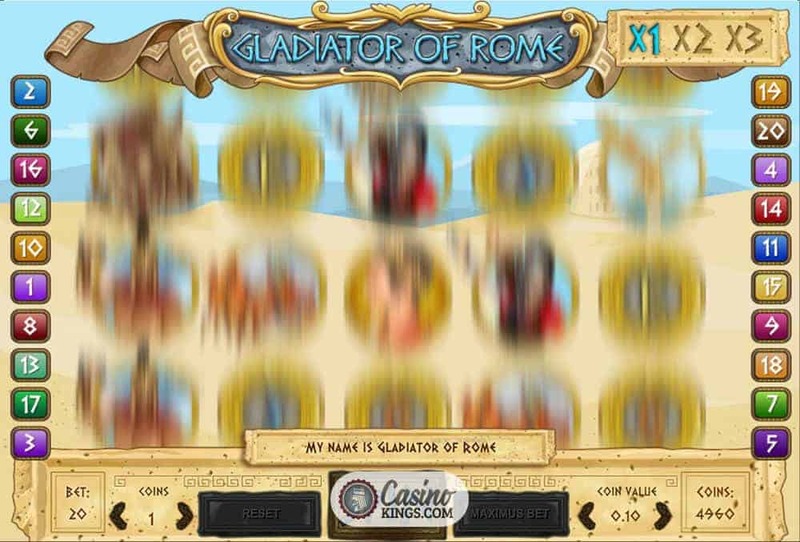 Who hasn’t dreamed of stepping into the Colosseum and risking it all for love or money in a battle to the death with a gaggle of ripped Gladiators? 1×2 Gaming, the studio that brought us the spine-chilling online slots Dark Thirst and Dead World. 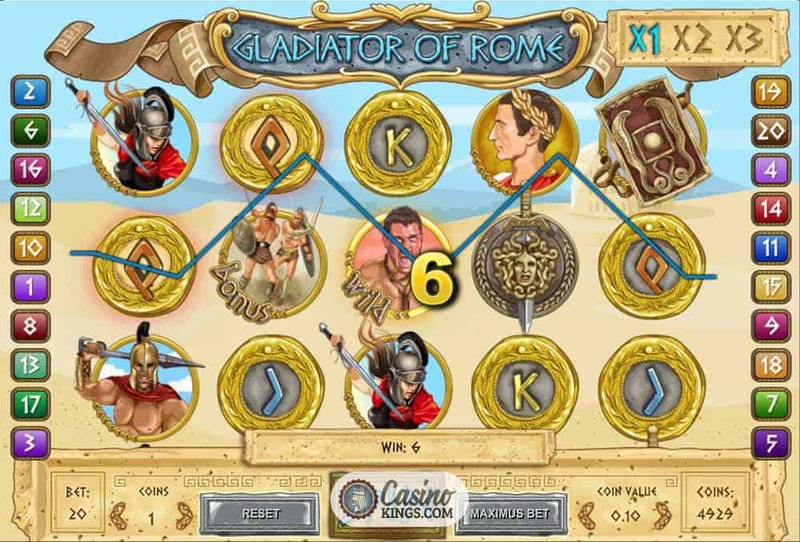 Delivers the Gladiator Of Rome Slot. Which we must confess is another fast-paced title with five reels, 20 pay-lines and a gutful of epic adventure. A Wild Gladiator acts appropriately as our Wild symbol, and stone us if he doesn’t look the spit of an early-years Mel Gibson. Think Beyond Thunderdome, appropriately enough. Our Gladiatorial Wild substitutes for all game symbols except Scatters. 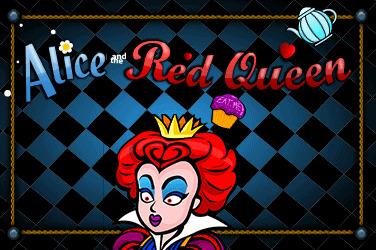 To complete winning pay-lines, paying out the highest possible prize. Our other heroes of this title are the Gladiator foes that Gibsonelius (as we shall call him) may face in the arena. Including Gladiators of various kinds brandishing their weapons, bare chests and helmets. It is Ancient Rome, after all. 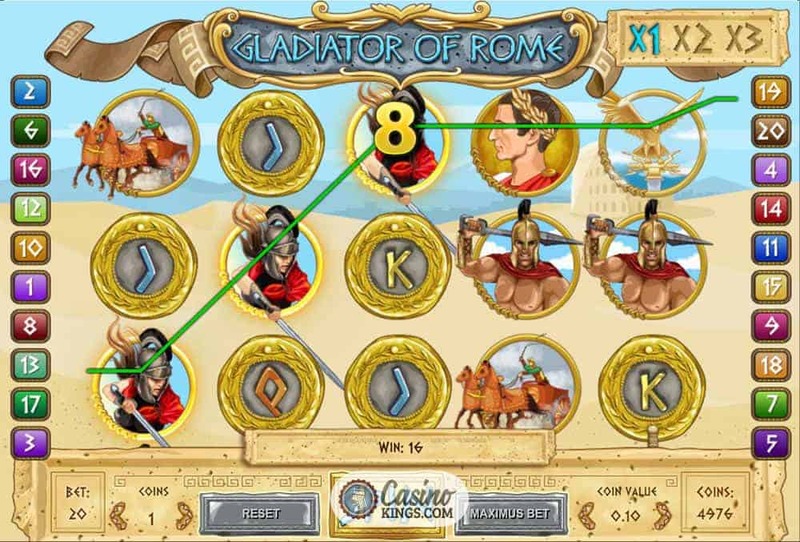 The other game symbols are symbols of the Roman Empire and the Gladiatorial arena. Swords, shields, the Roman Aquila standard and even the Emperor himself. The action is driven along nicely by a shudderingly up-beat and adventurous soundtrack. One that would probably be just the kind of thing that the Gladiators would like to have listened to before the fights to get themselves geed-up for what was to come. 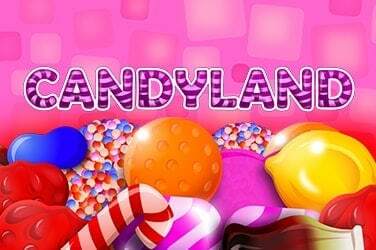 Slots nowadays seem to offer fewer and fewer free spins. Preferring to hype-up base game wins or secondary bonus features. 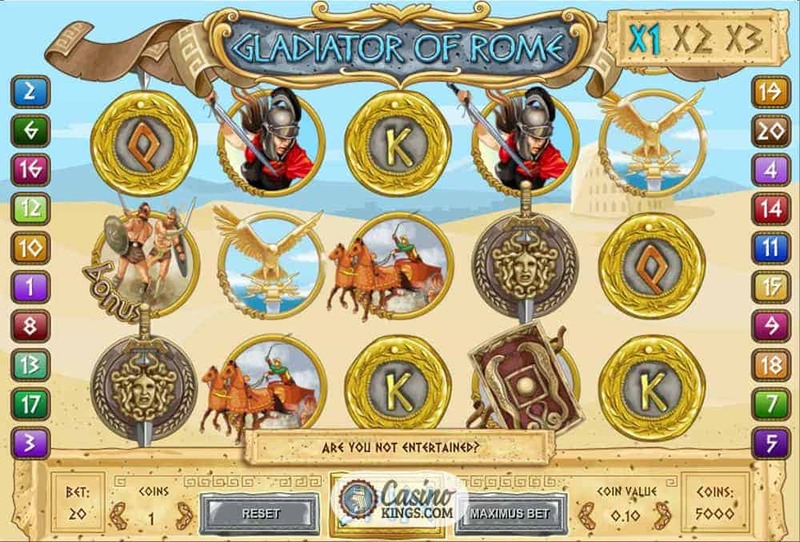 Not the Gladiator of Rome slot. 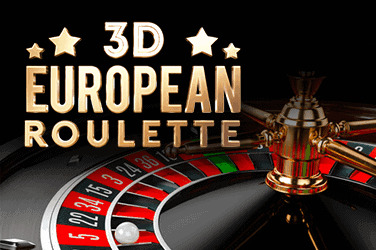 Landing three Bonus Scatters on reels 2-4 launches the Free Spins bonus round, which sees us bag an incredible 30 Free Spins. And now the Multiplier Board comes into play. 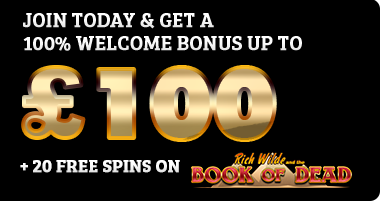 We enjoy a x1 multiplier for our first 10 free spins out of our 30. 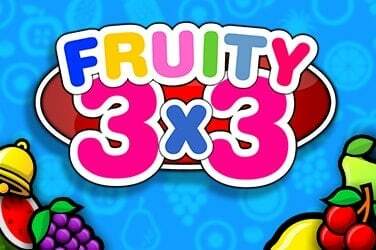 The following 10 we see the multiplier increases to x2 while we hit the home straight running for the final 10 free spins with a x3 multiplier. 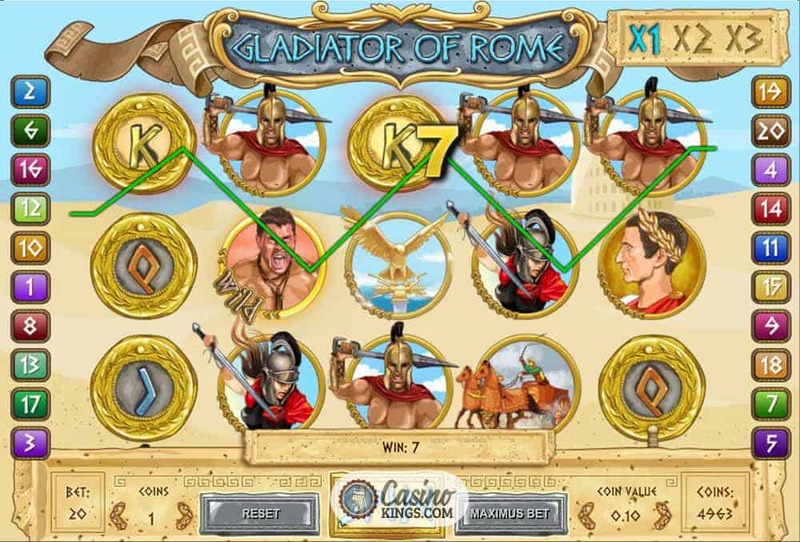 While it isn’t possible to re-trigger the bonus game during the feature, 1×2 Gaming has done the decent thing and removed the lower-paying Q and K from our bonus game symbols. An RL Gladiator of Rome would be pretty darn chuffed if he escaped with his life, though depending on from where or whence he came he might be better off without it. Fortunately for us, things have moved on. We can enjoy 1×2 Gaming’s clash of arms and dropping of guts from just far enough away to be enthralled, excited and eager for the next round.